The Kerrie Lowe Gallery gathered an impressive selection of ceramic art work from graduating students from several of Australia’s prestigious ceramic teaching studios. The works of 27 artists were featured in the exhibition, which was opened on Friday May 6th by Merran Esson, former Head of Ceramics, National Art School. Kerrie Lowe and gallery partner Elisabeth Johnson have a commitment to the development of fresh and exciting talent. 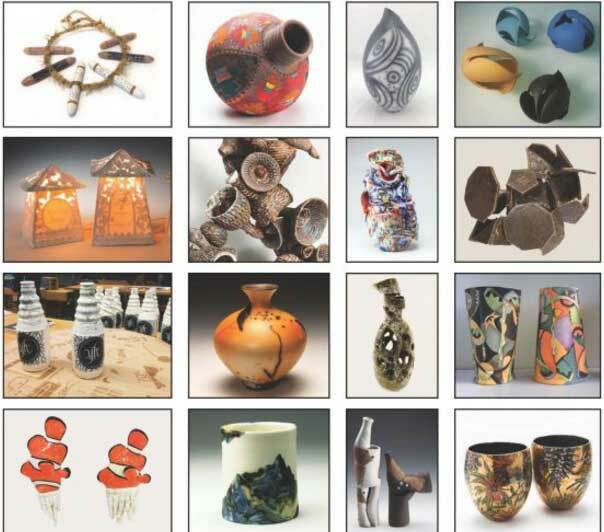 For over twenty years, the Gallery has featured constantly changing exhibitions of work by Australian ceramic artists. The clay work is supported by paintings, prints, sculpture and jewellery. Kerrie and Elizabeth selected works from four of Sydney’s TAFE colleges, the National School, Sydney College of Arts at the University of Sydney and University of NSW Art & Design faculty. Frances Smith was awarded the top Graduating Student prize when she graduated from the Advanced Diploma in Ceramic Arts from the Brookvale TAFE in 2015. Frances contributed nine pieces to the Fresh Perspective exhibition, all from her Endangered Flora series. This series evolved from her major Judith Wright retrospective exhibition and her work for the Botanic Gardens in Sydney – an annual event entitled Artisans in the Gardens. Frances’ works were the culmination of her development of highly illustrated porcelain ceramic style featuring underglaze illustrations augmented with third-fired lustres. The brilliant lustre colours enhance the underglaze illustrations. Frances set these ground illustrations off against a brilliant golden lustre background. Frances says she was looking to create ceramic illustrations where the brush-stroke was an integral part of the illustration, in the same way that impressionist painters embraced pronounced brushwork rather than hiding it behind a surface of photographic realism. The works on display at the Kerrie Lowe Gallery included four small lustre, a large gold lustre bowl and two large gold lustre plates. Fran also included three large black and white porcelain vessels which were thrown and altered with black slip-glaze illustrations where a ‘syringe’ tool is used to apply the free form illustrations directly onto the thrown greenware. It is then bisque and then high-fired. Frances polished the un-glazed porcelain surface to a low sheen making for a smooth buttery feel to the finished surface. Frances has been invited back to the Kerrie Lowe Gallery for a group exhibition entitled Clay Marks; Printing and Painting on Clay. The Clay Marks exhibition opens on Friday 19 August at the Kerrie Lowe Gallery, 49 – 51 King St, Newtown 2042.